Relax yourself in the Majestic Home Goods bean bag chair! The portable design of this giant bean bag chair allows you to easily bring it to any room, whether you're watching a movie in the living room or reading a book in the bedroom. 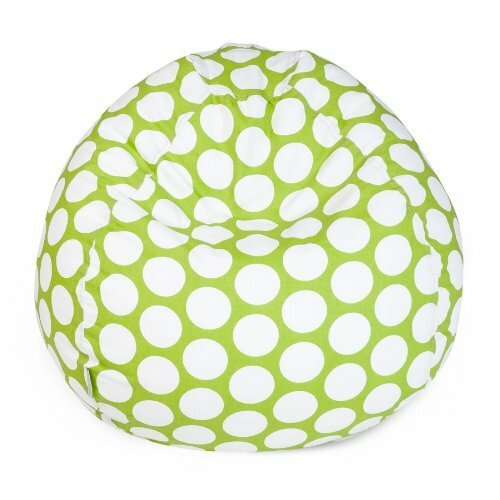 Removable slipcover and it’s easy to clean fabric makes this beanbag a great fit in kids’ rooms, dorm rooms, basements, bedrooms and more! As with all Majestic Home Goods bean bag chairs, it is manufactured with the highest quality of cotton and polyester to ensure it lasts for a long time. The bean inserts are made from 50% recycled polystyrene so we do our part in protecting the environment and, at the same time, providing you with maximum comfort from our special prostyrene beads. Majestic Home Goods designs and assembles all of their bean bag chairs in the USA. Highest quality bean bags are guaranteed!